“The aim of this book is to provide a handbook for preachers that will help them apply a consistently Christ-centered approach to their sermons” (ix). So commences Preaching the Whole Bible as Christian Scripture by Graeme Goldsworthy, an exceptionally well-crafted manual on hermeneutics by Graeme Goldsworthy, a lecturer in Old Testament, biblical theology, and hermeneutics at Moore Theological College in Sydney, Australia. And of the twenty or so books that I have read on preaching, this one is one of the very best and one of the most unique, with its focus on The Application of Biblical Theology to Expository Preaching. Goldsworthy’s concern is to help preachers relate all of Scripture to the person and work of Jesus, so as to avoid moralistic applications of Scripture on one hand and fanciful allegorizing of the text on the other. Chief among the culprits offering the kind of preaching which fails to be Christ-centered, are preachers who assume that “the people of the Old Testament primarily function to provide patterns of faith and behavior for us to imitate or, conversely, to avoid” (3). While a series on the triumphs and tragedies of David may appear relevant and helpful at first glance, the dangers of slipping into moralistic, Christ-neglecting applications of the text are great. But Goldsworthy also addresses problems with preaching from the New Testament in ways that abstract the text of Scripture from the gospel. Even pastors committed to expositional preaching risk losing the connection between the grace of the gospel and the application of the gospel to ethics and behavior – especially when preaching a lengthy series of sermons from a Pauline epistle (originally intended to be read as a single letter at one time), where the verse-by-verse pace can lead to fragmentation between Paul’s exposition of the gospel in the first part of the letter and his application of the gospel in the latter half. Preaching which avoids these dangers demands our relentless focus on the centrality of the Gospel and a commitment to an understanding of biblical theology which allows “the Bible to speak as a whole: as the one word of the one God about the one way of salvation” (7). Our message as Christian preachers is “Nothing But Christ and Him Crucified” (chapter one). To achieve this end, we must first ask, “What is the Bible?” (chapter two). Only when we grasp the unity of God’s written word will we be equipped to relate all texts to Christ. We must understand that “the whole Bible is the context of the text” (16) and we must be convinced that “the center and reference point for the meaning of all Scripture is the person and work of Jesus of Nazareth, the Christ of God” (16). Without Christ and his saving work as our center, even New Testament exhortations to holy living (not to mention passages from the Old Testament) become law, not grace. Jesus claimed that all of Scripture witnessed to himself (Jn. 5:39-40; Luke 24:27, 44-45), therefore, “the most challenging question for the preacher’s self-evaluation [is] . . . whether the sermon was a faithful exposition of the way the text testifies to Christ” (21). Biblical theology is the discipline which helps us do that. But “what is Biblical Theology” (chapter three)? Goldsworthy begins with the definition of Geerhardos Vos, who defined biblical theology as “that branch of exegetical theology which deals with the process of the self-revelation of God deposited in the Bible” (22). This revelation of God is “embedded in history” and by its very nature “tells a story rather than sets out timeless principles in abstract” (22). 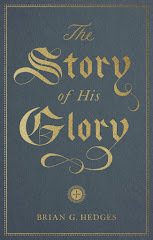 The author provides a brief history of the discipline of biblical theology, but quickly gets to its heart, reminding us that it “is, at least in part, a descriptive discipline, its method is mainly dictated by the shape of the Bible itself” and that since “the person of Jesus is proclaimed as the final and fullest expression of God’s revelation” our “methodological starting point is the gospel” (25). The aim, then, is to understand “theology as the Bible presents it” (26) and in relation to Christ. Approaching biblical theology with an understanding of “salvation history” (or “the history of redemption”) best accomplishes this task. Salvation history, which moves through the story of Israel to the climatic coming of Jesus Christ, “points us to the three dimensions of the Bible that our preaching needs to take account of: literature, history, and theology” (28). The biblical story unfolds in various strands and genres of literature, which record historical events, which are then interpreted theologically. Biblical theology helps us uncover that story and serves expositors of Scripture well. It is the “neglected handmaid of the preacher” (30) which helps demonstrate how the entire revelation of the Old Testament gives texture and meaning to the revelation of Christ in the New Testament. Chapter four asks, “What is Preaching?” This question is important, for as P. T. Forsyth said, “with its preaching Christianity stands and falls” (31). Preaching is not “the giving of opinions,” but the proclamation of the Word of God. Therefore, we need a biblical theology of the Word. Goldsworthy develops such by tracing the role of the word of God in creation, judgment, and salvation in the unfolding of redemptive history. “The word of God by which all things were created is the word that establishes a covenant with a people being redeemed, and that finally bursts into our world as the God-man, Immanuel” (34). So, Jesus is the final word of God. As Hebrews 1:1-3 demonstrate, “Jesus is spoken of as the prophetic word, the creative word, the God-revealing word, the sustaining word, and the redeeming word” (41). Therefore, Jesus is the pattern of all truth. He is the sun around which our exegesis must orbit. Preaching is the proclamation of Christ, the Word. Chapter five asks yet another question: “Was Jesus a Biblical Theologian?” This chapter looks specifically “at the way Jesus is recorded as engaging the text of the Old Testament and how he related it to himself” (46). As we study the teaching and preaching of Jesus himself, we discover “principles of a theological method that can inform our preaching” (46). 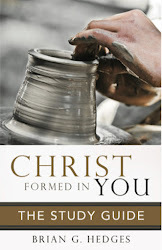 Goldsworthy first examines “Jesus View of Himself” as the fulfiller of Scripture and the Son of Man (47-50). Next is “Jesus’ View of Salvation History” where Jesus’ preaching of the gospel of the kingdom is shown to highlight “the fact that the notion of the kingdom of God is a central and ruling theme in the theology of the Old Testament” (51). One of the primary concerns of this chapter is to show how the Gospel functions as the hermeneutical key which unlocks Scripture. Goldsworthy is relentless in his application of this to the pastor-preacher. He exhorts us regarding the necessity of building biblical theology into our Christian education programs in the local church and rebukes seminaries for not requiring courses in biblical theology. “The idea that evangelical pastors can be sent to have ministerial oversight of congregations without first having a solid grounding in biblical theology is one of the scandals of our time,” he writes. “Show me a church without a good appreciation of the Old Testament and biblical theology and I’ll show you a church with a weak understanding of the gospel” (52). Further, he warns preachers that while talk about relevance in preaching can be very seductive, it can be too easily “assessed on purely pragmatic grounds” (61). Preaching on low self-esteem or animal rights or global warming or other felt-needs may seem relevant, “but unless the felt problem is then redefined by the gospel, we are in danger of reducing the Christian message to a pragmatic one of helping us feel better” (62). “The first question we all need to ask is not, ‘Was it relevant?’; ‘Did I find it helpful?’; or ‘Were we blessed?’; but ‘How did the study (the sermon) testify to Christ and his gospel as the power of God for salvation?’” (62). In the sixth chapter the question is “What Kind of Unity Does the Bible Have?” How do the Old and New Testaments relate to one another? How do the various parts of Scripture relate to the whole? 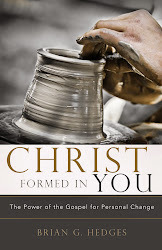 Goldsworthy argues that the basis for unity in Scripture is rooted in the very nature of the God who is one, and makes some interesting connections between “ancient heresies about God and Jesus” which are “transferable to other realities, including the Bible” (67). For example, “a docetic view of Jesus will also translate into a docetic view of the Bible. If Jesus only seemed to be human while being purely divine, the Bible as the word of Christ comes to be seen in the same light. The apparent humanity of the Bible, evident through its human language and its historical narrative about people, is not the reality we seek at all. Behind or beneath these externals lies a hidden divine spiritual meaning that bears little or no relationship to the historical externals” (67). We guard ourselves from such dangers by maintaining both the unity and the distinctions within Scripture. The application of that principle leads us to consider the literary variety of Scripture (68-69) its historical progression (69-72), and progressive revelation (72-76). Finally, direction on preaching the progressive revelation of Scripture is given, in terms of type-antitype (76-78), promise-fulfillment (78-79), and salvation history-eschatological goal (79-80). “How Does the Gospel Function in the Bible?” (chapter seven) and for that matter, what is the gospel? 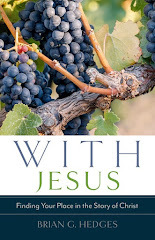 To the last question, Goldsworthy answers that “there is enough biblical evidence to justify our understanding of the gospel as the event, or the proclaimed message of that event, which is set forth by God as the object of our faith and trust if we are to be saved” (82). Goldsworthy backs into his unfolding of the gospel by taking the proclamation of Jesus in Mark 1:14-15 and showing how the elements of his message “are saturated with the salvation history of the Old Testament message” (82). Again, the gospel is seen to be key to unlocking the meaning of Scripture. “The gospel is the power of God for hermeneutical salvation” (84). At the center of the theology of Scripture is the message of “God as creator and redeemer of the world” (86). This theme is intimately related to the unifying theme of the kingdom of God. “The essence of the kingdom is God’s people in God’s place under God’s rule” (87). That pattern is first revealed in the perfect environment of Eden, which is then disrupted by sin. The rest of Scripture is about God’s undoing of the destruction of sin and the restoration of that kingdom pattern – the pattern which gives shape and structure to the history and eschatology of Israel and reaches its fulfillment in the work of Christ. The gospel of the kingdom is thus seen as the biblical-theological center of Scripture. The chapter concludes with some brief but thought-provoking thoughts on how the understanding this gospel-center affects the various preaching contexts of evangelism, discipleship and ethical issues. The next chapter continues to build on what has preceded, asking “What is the Structure of Biblical Revelation?” While hints of this structure have already been given, it is here that the pieces of the biblical puzzle really come together. Goldsworthy breaks redemptive history into three large epochs: 1. The kingdom in Israel’s history; 2. The kingdom in prophecy; and 3. The kingdom fulfilled in Christ. This is, of course, the macro-structure, which is further broken down into smaller parts. The point of understanding this structure is to help us interpret texts within their wider redemptive-historical contexts. Preachers must avoid making direct application of individual and unrelated texts to their hearers while ignoring the salvation history structure of revelation (99). 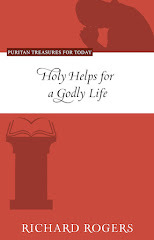 Rather, the text is to be placed in its salvation history context, linked theologically to Christ as the focal point of all of Scripture, and only then connected to the life of the believer or hearer (100). This does not justify the use of “wild typology” (110), but when typology is understood to deal with real historical events with which there are real correspondences to the gospel, typology can be a useful tool. Goldsworthy calls this “macro-typology” and views it not so much as scattered examples of persons, events and institutions which correspond to Jesus and the gospel in some far-fetched ways, but as a broad pattern in which whole epochs of revelation reveal the pattern of the kingdom which is finally fulfilled in Christ. This macro-typology has far-reaching implications for preachers. 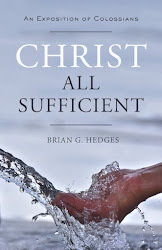 “It underlines the central thesis of this book: all texts in the whole Bible bear a discernible relationship to Christ and are primarily intended as a testimony to Christ” (113). This means that the true pathway for the application of Scripture by preachers to those who hear is via Christ. “The Bible is the word of God by virtue of its relationship to Christ and not by virtue of its spiritual application to our lives” insists the author. 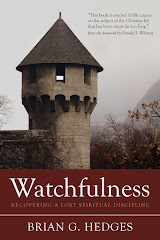 And “any attempt to relate a text directly to us or our contemporary hearers without inquiring into its primary relationship to Christ is fraught with danger” (113). Everything written in the first eight chapters should lead one to ask, “Can I Preach a Christian Sermon without Mentioning Jesus?” This is the focus of chapter nine. Goldsworthy self-consciously tries hard to “avoid simplistic answers” (115).His short answer is “Why would you even want to try to preach a Christian sermon without mentioning Jesus? Is there anywhere else we can look in order to see God? To see true humanity? To see the meaning of anything in creation?” (115). We should want to keep Jesus central in all of our preaching, because when we handle valid biblical truths, but “get them out of perspective and ignore their relationship to the gospel of grace,” we replace grace with law. No punches are held here and there is scarcely a preacher who will not feel the blows. 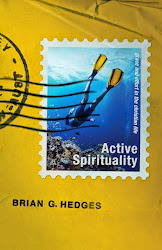 “In practical terms, if we as preachers lay down the marks of the spiritual Christian, or the mature church, or the godly parent, or the obedient child, or the caring pastor, or the responsible elder, or the wise church leader, and if we do this in a way that implies that conformity is simply a matter of understanding and being obedient, then we are being legalists and we risk undoing the very thing we want to build up” (119). So, what does this mean for expository preaching? Well, if expository preaching is first and foremost biblical preaching, then it means that it “involves a great deal more than the exegesis of a biblical passage” (124). Solid exegetical groundwork of the passage must be done, but “the application can only be achieved in terms of the gospel. Thus, a biblical passage explicated and then applied to the hearers does not constitute a biblical sermon if the application is made without reference to the person and work of Christ” (125). Exegesis, “the formal analysis of the passage in which we seek to uncover what the author was saying” (127), must be joined with hermeneutics, the goal of which “is nothing more nor less than to uncover the links between the ancient text and the contemporary hearer (or reader) of the Bible” (127). But “these links are not intuitive, nor are they a matter of some mystical direct communication of the Spirit. They come from the nature of the Bible as a book about Christ” (128). 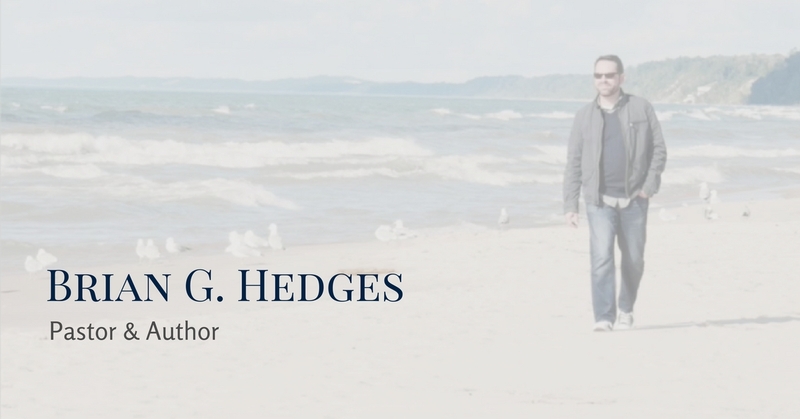 With the basic questions about the nature of preaching and the essentials of biblical theology answered, part two shifts from foundation to application. What does preaching “Christ in All the Scriptures” (135) look like? 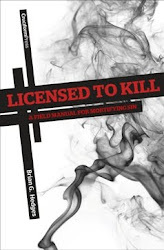 For starters, the preacher must take into account the various literary genres (“narrative, prophecy, wisdom, psalm, gospel, epistle, and apocalypse” 137) of Scripture, the historical progression of redemptive history, and the theological epochs inherent within the unfolding historical narrative (135-139).This three-fold consideration serves as a helpful grid for interpreting and preaching from the various parts of the canon. Chapter ten addresses “Preaching from Old Testament Historical Narrative Texts.” The first consideration when approaching Old Testament narrative is “whether historical texts should be treated mainly for their exemplary value or for their contribution to and place in salvation history” (141). The preacher’s approach to this concern will determine the entire orientation of his message. “In exemplary preaching the characters in the narrative serve as examples of godly or godless living as the case may be” (141). But this approach can lend itself to moralistic preaching without a gospel-center. The salvation history approach, on the other hand, does not necessarily screen out all appeals to biblical characterization. But it does remind us that “the chief character in the unfolding drama of redemption is God himself” (141) and that any individual Old Testament narrative must be interpreted within its larger redemptive-historical context. Goldsworthy then divides Old Testament narrative into two broad epochs. The first epoch, “from Abraham to David, are texts that come under the covenant with Abraham; it is the age of promise” (143). The second epoch, “from Solomon’s apostasy to the end of the Old Testament, fall in the age of prophecy” (143). We only rightly interpret narratives when they are seen in light of the “gospel” thrust embedded in either God’s covenant promises (the first epoch) or Israel’s eschatological hope (the second epoch). 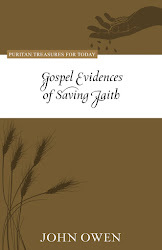 Several examples of gospel-centered interpretation of Old Testament narratives follow: 1. The Story of Noah (Genesis 6-9); 2. Ruth; 3. Bringing the Ark to Jerusalem (2 Samuel 6); and 4. Nehemiah Builds the Walls of Jerusalem (Nehemiah 2-6). Each example briefly demonstrates the application of biblical theology to the exegetical process, reminding us that “the theological context of all preaching is . . . creation, fall, and God’s plan of salvation” (143). The chapter concludes with some “Literary and Historical Considerations” – in which Goldsworthy carefully distinguishes preaching from narrative passages from preaching in narrative form (149) – and suggestions for planning sermons on historical narrative texts. The next consideration is “Preaching from Old Testament Law” (chapter eleven). 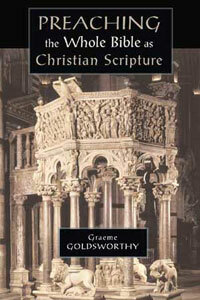 Goldsworthy begins with an obvious comment about the place of the law in salvation history – namely, that it “was given to a people who had been chosen by grace and already redeemed by grace” and therefore “there can be no question of the law functioning as a way of achieving salvation by works” (152). Several pages continue the discussion of the law-grace question (153-160). Following this are several examples of applying biblical theology when preaching from Old Testament law: 1. The Ten Commandments (Exod. 20); 2. The Tabernacle (Exod. 25-30); 3. Clean and Unclean Foods (Lev. 11); and 4. A Ceremonial Directive (Numb. 10:1-10). Again, the chapter ends with literary and historical considerations and suggestions for planning sermons on the law. Chapter twelve takes up “Preaching from the Old Testament Prophets.” As in the previous chapters, the salvation-historical context is first established, then examples are given: 1. The Marriage of Hosea (Hos. 1-3); 2. Isaiah’s Missionary Vision (Isa. 2:1-4); 3. Amos’s Vision of the Basket of Fruits (Amos 8:1-14); 4. Jeremiah’s Letter to the Exiles (Jer. 29:1-14); and 5. The Last Oracle (Mal. 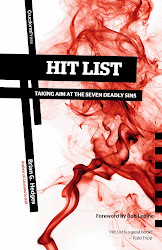 4:1-6), with concluding reflections on literary and historical considerations and sermon planning. This pattern continues throughout the rest of the book as Goldsworthy addresses preaching from Wisdom Literature (chapter thirteen), the Psalms (chapter fourteen), Apocalyptic Texts (chapter fifteen), the Gospels (chapter sixteen), and Acts and the Epistles (chapter seventeen). The final chapter discusses the preaching of biblical theology itself and includes helpful suggestions for how pastors can teach their people the basic principles of Christ-centered interpretation.